We've posted many Teardrop shaped guitars over the years and they are among my favourite designs and this Teisco Crescendo is no exception. With two Teisco pickups and a hollow body, I'm sure it has a distinctive tone. I like the look of the tremolo and the little nick out of the scratchplate. Very stylish. 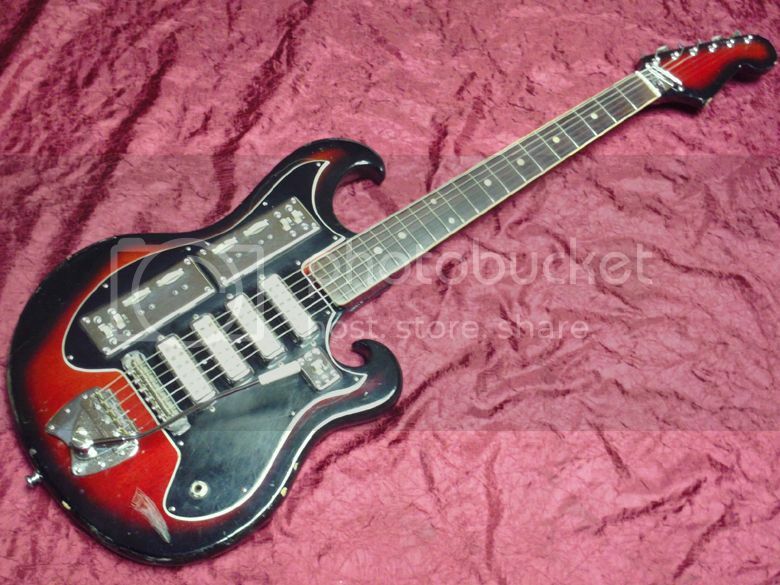 This a Teisco Crescendo 'Teardrop' style guitar dating back to 1968, made in Japan. The guitar is in very good condition, given its age, with a few knocks and scratches the note. The main mark to note is a long hairline crack in the lacquer along the edge of the body. This is not structural and we have taken photographs of the crack. There is also some minor lacquer cracking near the neck socket; again, see pictures. 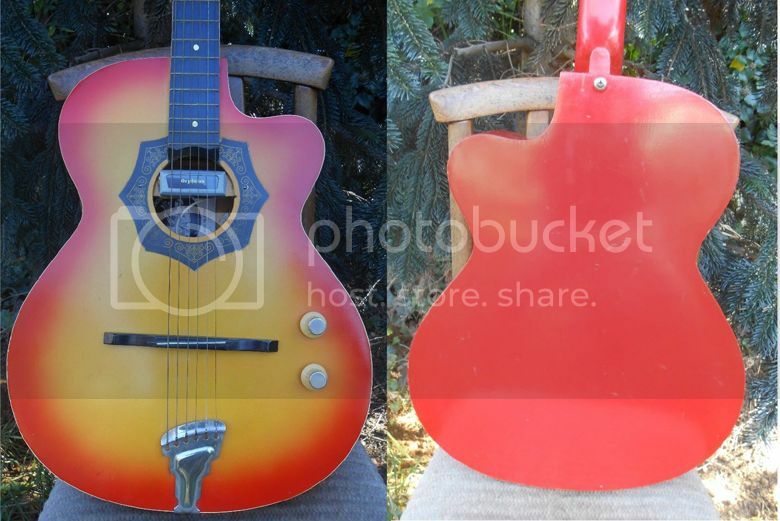 Overall the guitar is in tidy condition and is a great collector's piece, as these are very difficult to come by. This Orfeus electric-acoustic is a guitar in a very similar vein to the Russian guitar we looked at in the previous post. Like that other guitar, the Bulgarian-made Orfeus (circa 1970s) looks for all the world as if it is an old acustic guitar that has been latterly modified by someone into an electric guitar. However, there are various indicators that it was created this way back in the factory, the most compelling of which is the correct Orfeus pickup mounted in the soundhole bracket (which you'll notice is painted in the same finish as the rest of the guitar - another clue to its originality). For comparison check out this other 3-magnet Orfeus pickup where you can see the similarites in their crude design and construction. Interesting also to note the treble-side cutaway (cutaway acoustics were much less common back in the 1960s and 70s - it's only in recent years that they seem to have become the norm) and the six-in-a-line electric-style headstock. Currently listed on eBay with a Buy It Now price of US $149. 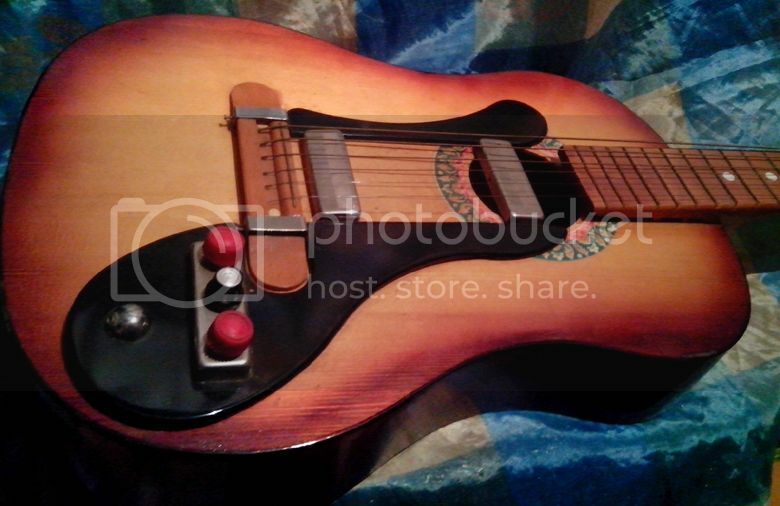 At first when I saw this photos of this Soviet-era Russian-made electric acoustic guitar, I thought that someone had customised an acoustic guitar in order to electrify it. But looking more closely, it would appear to have been designed this way; I'm pretty sure that this guitar was conceived this was in its Leningrad factory. It looks for all the world like an old nylon-strung Russian-made acoustic we used to have in the house when I was a kid. I'd be surprised if it had anything as sophisticated as a truss rod; the action doesn't look too healthy in the photos. 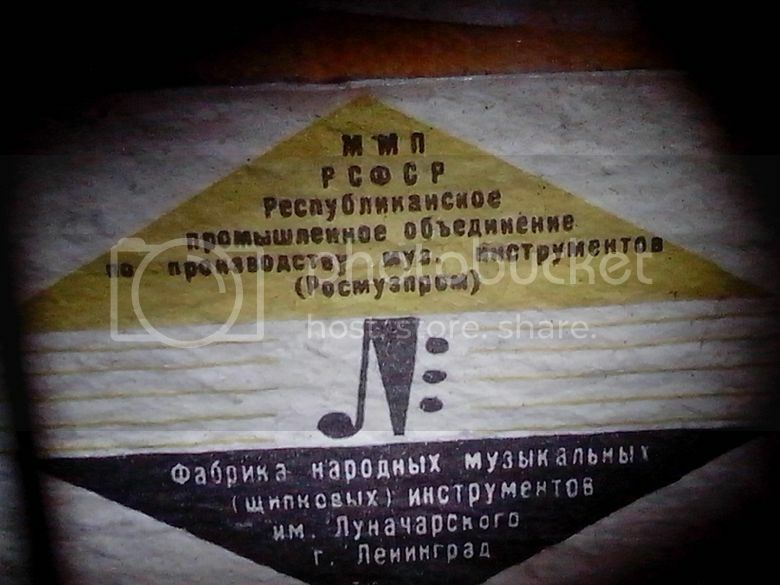 Remembering the old Russian acoustic we had, the neck angle could be adjusted via a large square bolt located inside the heel of the neck. It's certainly a curiosity and one I feel myself drawn towards, partly because of the sense of absurdity I feel emanating from it. But what easier way for a Soviet-era guitar manufacturer to produce an electric model than to modify an existing acoustic model? I think you have to applaud their inventiveness (and bear in mind too that none other than C.F. Martin used the same approach when initially dipping their toes into the world of the electric guitar). Note also that it has TWO pickups for increased tonal options - they could have played it easy and just had the one pickup. Currently listed on eBay with a starting bid of £39.50. This Sekova Mentor guitar looks almost Italian with its four pickups and metal-covered banks of switches above the pickups. It also has a 26 3/4" scale length and an unusual body shape with a very deep cutaway on the treble-side of the body which is then negated by the inwardly scrolling horn. Currently listed on eBay with a optimistic Buy It Now price of US $1,500. For more info see Drowning in Guitars. Well, here's something a little bit ... different. The Russian traditional 3-string folk instrument gets a heavy metal makeover. Although in the demo video (below), it's playing 1980s electro-pop. I think for a metal sound it'd need a meatier pickup than a Tele neck-position unit. Available from Folk Friends (in Germany) priced at €359,00 (approx US $478,67). When it comes to violin-styled basses (and guitars come to that matter) I am usually quite ambivalent in my enthusiasm for them, but I think that this Apollo violin bass is just glorious. Something about the shape and the execution of the build is just right. 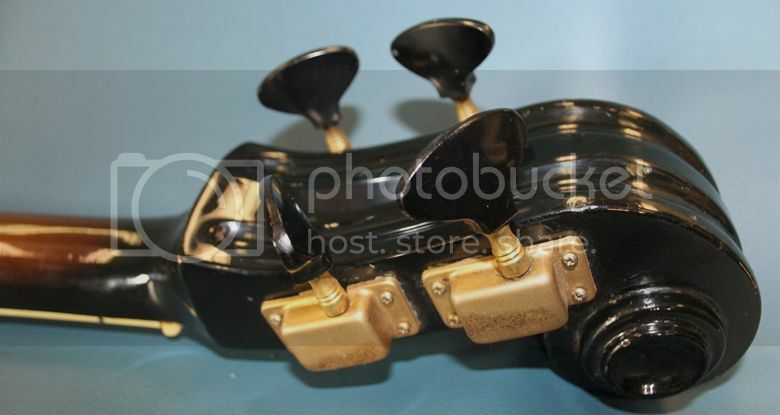 I also really love the traditional scroll-style headstock. The best information on these basses that we could find is this "Apollo was an import line of St. Louis Music from 1967 to 1972. Apollos were made in Japan by Kawai, which had taken control of Teisco in 1967 and adopted some of Teisco's designs. Matsumoko also supplied guitars to St. Louis Music, but those were under the Electra trade name. 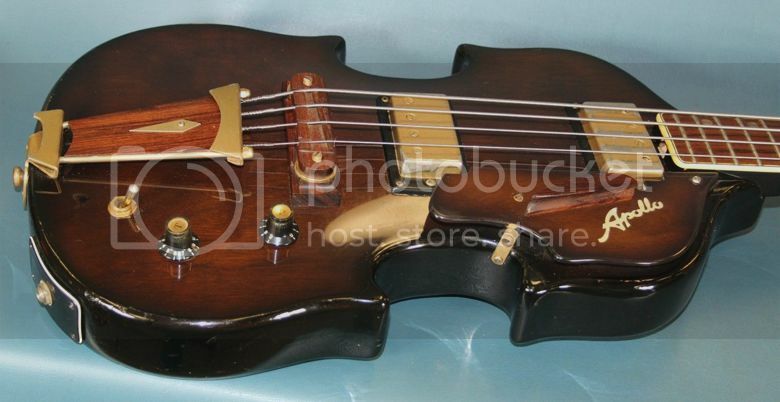 There were EKO violin basses, but I assume they are all copies of the original Hofner bass. I think he's wrong about this being a "copy" of the Eko violin basses. They were hollow-bodied and quite a different shape from this Apollo; nowhere near as elegant. As for them all being "copies of the original Hofner bass", that's not quite correct as - of course - the Hofner violin bass was inspired by Gibson's original bass guitar, the EB-1. I think it's high time we had another look at another guitar from our favourite eccentric vintage Italian guitar manufacturer, namely Wandre. This Wandre Davoli Cobra 2 is one of their later models and is nowhere near as barking mad as many of their earlier designs. In fact, the offset body design is somewhat reminiscent of Fender's Jaguar and Jazzmaster models. 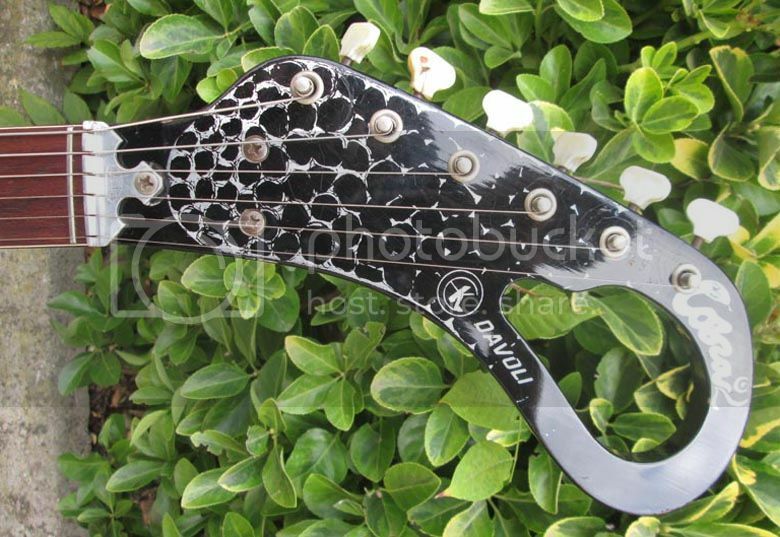 But checkout that headstock design; that's got to be a contender for our Top 10 of crazy headstocks. Wandrè believed the name Cobra meant to draw inspiration and energy from the animal itself. 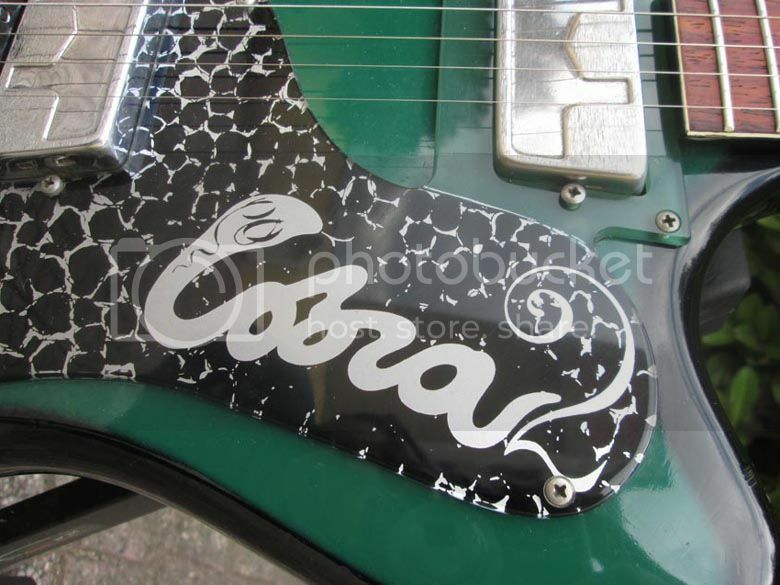 That’s why in the second version a bizarre headstock imitating a snake’s hood with glasses and a snake scale finish for the pick-guard and for the headstock itself. Ready to leap and bite. The swan song of a production with no more raison d’etre in the market. An intoxicating bass version also available. Note that the guitar still features Wandre's trademark metal neck construction. 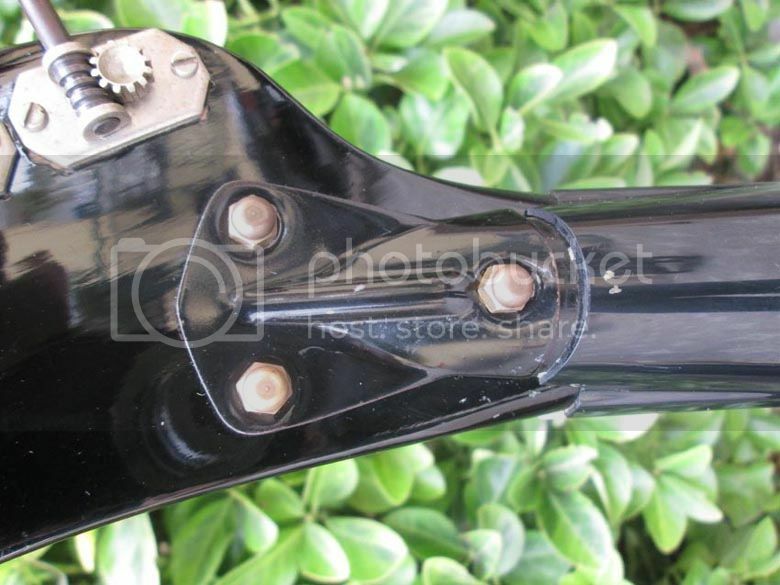 Notice how the headstock is attached to the neck by means of a bracket. Wandre guitars now fetch silly money among collectors. Which is a shame because it means they are often languishing in collections rather than being used and played by working musicians. This example is currently listed on eBay with a Buy It Now price of €3,200.00. Could this be the earliest production model acoustic bass guitar? I have on this blog previously queried what might have been the earliest production model acoustic bass guitar. 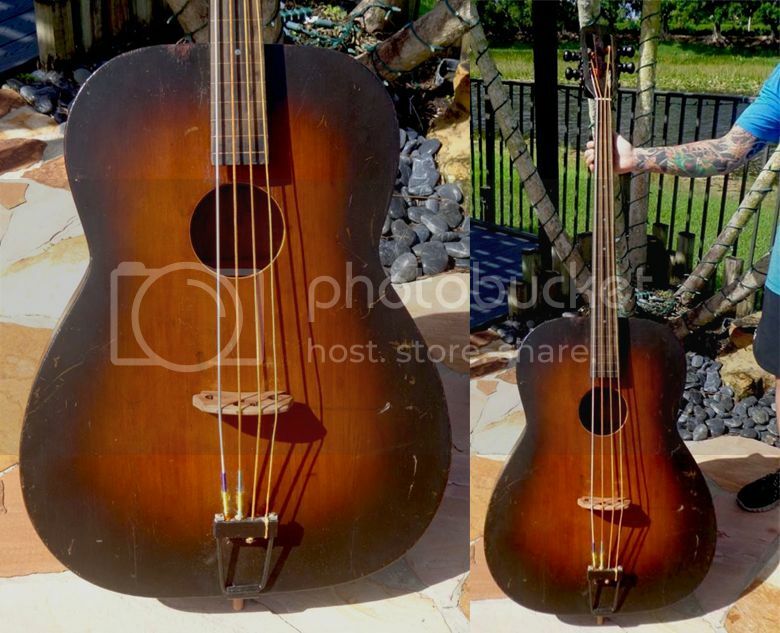 Surely this Regal Bassoguitar circa 1937 must take the prize, even if it does look as if it was designed to be played upright like a traditional double bass. Note that it has a double bass style bridge and gut strings. Also in keeping with the double bass, the fingerboard is fretless, albeit with lined fret position markers. It's quite a huge beast of an instrument and was apparently advertised in Regal's own catalogue as being "the biggest guitar in the world". However I suspect that the guy in the illustration opposite (possibly from the Regal catalogue?) is a boy or small adult, making the bass look all the bigger. This example is currently listed on eBay with a Buy It Now price of US $3,999.